We’re proud of our gorgeous, rustic-inspired private banquet room and our inviting patio because they allow us to help you graciously host your next special event. Here’s the best part: we do the heavy lifting! Got an idea? Just ask! Our Chef and his talented kitchen staff put the same attention to detail you taste in the restaurant into every special event menu. You’re getting The Gables’ quality whether you choose a plated or buffet event. From freshly baked breakfast pastries to filet mignon, everything is prepared to perfection. Need to accommodate food sensitivities or preferences? We’re at your service. Our spacious loft houses our private banquet room that oozes charm. A high ceiling, exposed beams, huge windows and a dedicated bar area enable us to transform the space into just-the-right atmosphere for meetings, parties and weddings alike. In mild weather, smaller parties and meetings can choose our outdoor patio. You’ll be nestled away among stone walls and seasonal greenery for a private, comfortable event. Hosting al fresco is a unique way to “wow” your guests. Rental fees shouldn’t be a barrier to acquiring a beautiful event space. We’ve priced ours accordingly to vary with the season, day of the week and time of day. Our weekday rates, in particular, can’t be beat. Plus, we include standard white table linens, napkins, china, glassware, flatware, tea light candles, use of the outdoor terrace, room set-up and clean-up. Ask us about our wedding ceremony fee that includes white folding chairs, ceremony tent insurance, set-up, break-down and use of our terrace and wedding suite; the ceremony tent fee is reasonable, too! We take the hassle out of nailing the details. We work with trusted vendors to secure audio-visual equipment, microphones, sound systems and speakers. 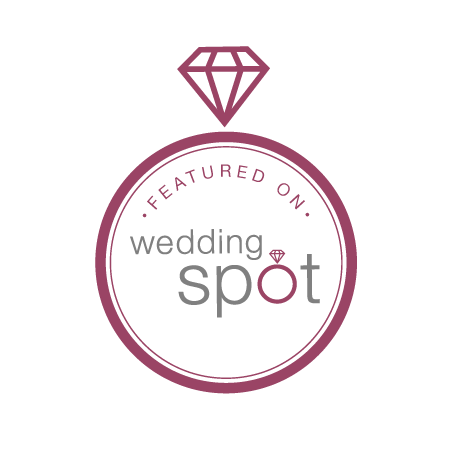 Our vendor recommendations also extend to child care, invitations, florists, local accommodations, photographers and so much more. We’ve worked with these pros many times and are confident they’ll serve you well. Yes, you can get here from there, thanks to our prime location on Baltimore Pike (Route 1) in Chadds Ford. We’re minutes from Route 202 and Route 52 and are a hop, skip and a jump from central, western and southern Chester County and northern Delaware. We boast ample free parking, too! Contact us today to see how The Gables at Chadds Ford fits in with your event planning needs. Check our availability and give us a call.